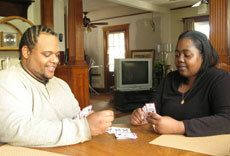 Cherelle Payne (right) attributes her ability to cope with lupus to the support of her husband, Daren. Payne suffered her first symptoms of lupus when she was a 19-year-old college student. Their stories on lupus couldn’t be more different. Robin Sanzi knew from the start that something was terribly wrong. The sudden pain and swelling in her hands and wrists were so bad that she couldn’t zip her pants or open a bottle of water. “Something wasn’t right,” she recalled. Tests were done, and when the results came back a little askew, Sanzi was off to a specialist. The diagnosis was fairly quick in coming: Sanzi had lupus. Say this about Hope White. For the last 20 years, lupus and all its complications have altered her life in devastating ways. But one thing remains constant: her parents named her right. “They named me that for a reason,” White explained. “Hope” is an understatement. Since her diagnosis, White, 44, has had one complication after another. As it is now, she takes 16 different medications, and is in and out of doctor’s offices almost every week. Lupus is a chronic, inflammatory autoimmune disease that can result in complications affecting the skin, central nervous system, kidneys, heart and blood vessels, lungs, joints and bones. 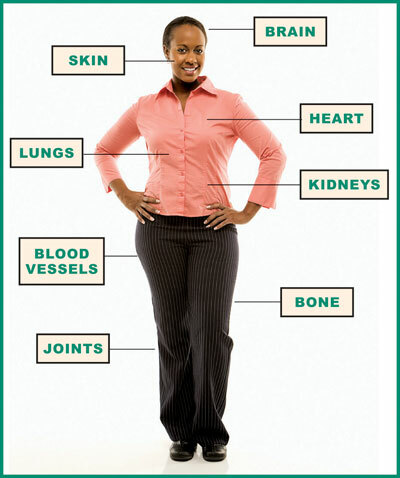 Lupus is more common in black women than any other group, occurs at a younger age and tends to be more severe in blacks.